In this episode: A travel and teaching round up but, mostly, I have just missed talking with you. Visiting one’s old home town as a tourist is bitter sweet. I’ve been hanging out in the West Hills, shopping at Stroheckers, walking at Council Crest, and shopping as if there is no tomorrow. Oregon has funny place names. Between the Folds, a documentary about origami, is one of the best films I’ve seen in a long time. Ennui: I’ve been struggling. I busted out a Rikke Hat, with the slipped stitch mod. And then I lost the hat. Fortunately, Cottage Grove Yarn Shop came to my rescue. Here’s what I bought: Amazing Colors Spinning Stripes; Debbie Macomber’s Petals sock yarn; and a single 50g ball of socks with which to darn my father’s Corgi socks. My audible pick this week is Going Clear: Scientology, Hollywood and the Prison of Belief. Music by Karine Polwart, I’m Gonna Do It All, from the cd Scribbled in Chalk. Glad you’re back on the airwaves, however briefly. Have been holding you in my prayers. 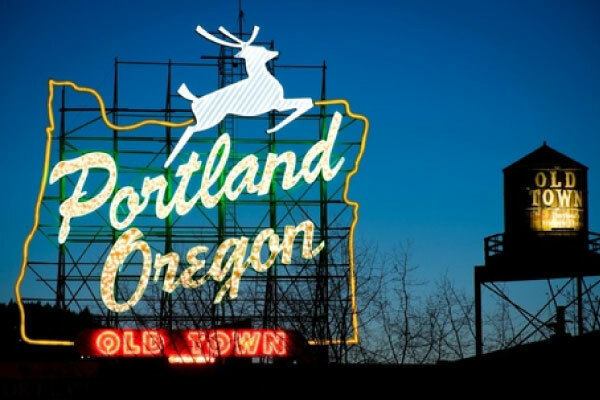 First you mentioned Drain, Oregon- had to yell to my husband that you had been in Drain– as we had friends in Cottage Grove who now live in Lorraine- so we have driven through! THen you mentioned Cottage Grove where we had been and stayed. You should check out the soda pop shop on the main street the next time you go by. Really fun! IT’s a very small world! Thank you, Brenda. Wonderful to hear your voice and listen to your travels. I have been listening while I continue with the sweater that never ends. Note to self: never again knit an entire adults sweater in stockinette stitch. Excellent choice of music too. Great to hear from you again. I enjoyed listening to Karine Polwarth. While travelling in Scotland a few years ago, I was lucky to attend a CD release concert near her home. See you soon at Madrona! Hi Brenda! I was so excited to see a new podcast that I actually squealed. Thankfully I live alone as there was no one to hear me. Best wishes for the rest of your travels and I hope to hear from you soon! So great to hear you! Missing your voice here in the UK and loving the news of late night Apple store visits, darn-yarn adventures, and busted-out-hats. I still stand by “bust out a hat” as a remedy for all knit-mojo related projects! 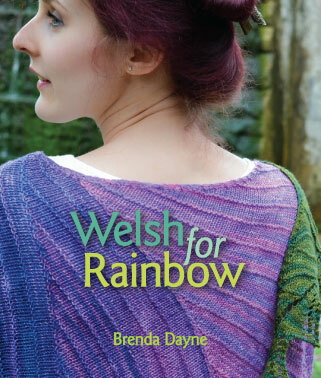 Very excited to see progress on the Welsh for Rainbow shawls, and couldn’t agree with you more on the whole souvenir yarn approach. I really love to get some yarn super specific to a place I’m in whenever on the road. As I am crashed in bed with the flu in Arizona, the first chords came on and I found myself croaking along with “Land of the Empire builders…” Then I was buzzing along the 26 past St. Vincent’s and the Zoo/Washington Park. (I grew up in Hillsboro.) And OHSU is where my brother (successfully) fought prostate cancer in 2009-2010. So many memories. And yes, I do know where Drain and Cottage Grove are. Thanks for the podcast…and the memories! I hope you have a wonderful time in Friday Harbor!! Please do take a minute to have a cup of tea and look out at the water and admire the boats. I love the islands, especially in winter when things are quieter. 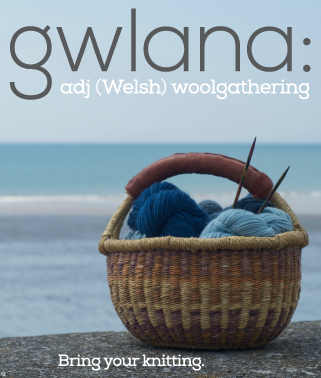 Do check out the local yarn!! There are some island spinners that do wonderful things, and I literally stalked a woman off the inter-island ferry and followed her all the way to the Friday Harbor yarn shop to buy her yarn one day (it was that good). Hi Brenda! I’m a little behind on podcasts so I’m very much looking forward to the Oregon episode, as I had a great time taking your class & meeting you in person. I also really hope to run into you at Madrona later this week. I’m not even remotely surprised that your classes have been filled for ages but I am a little disappointed that I don’t get to take one. At least you’re teaching in the U.S. a little more so hopefully there will be another chance. Safe travels! Geewhillikers… I can’t believe you were here in town and I missed it! Would have been great to see you (however briefly). Hugs! Hi Brenda. I am way behind on listening so I just heard that you were in Oregon again. Sigh. Missed you again. Drain is only 30-45 minutes from me too. 🙂 hugs!